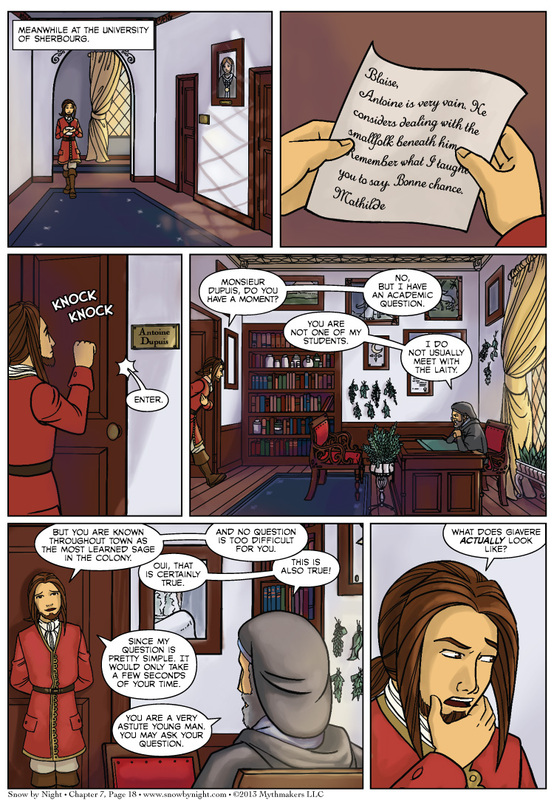 Blaise goes to see the sage in Chapter 7 Page 18. There, he poses a question that has been gnawing at him since Chapter 6. To see a preview of the sage’s answer, please vote for Snow by Night on Top Web Comic. 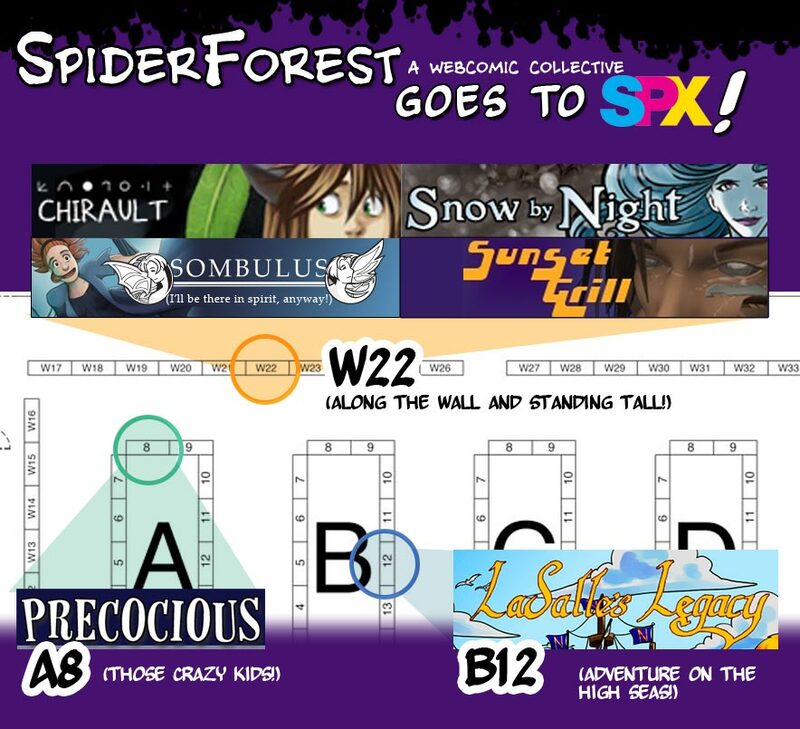 This weekend, Snow by Night will be at Small Press Expo in Bethesda Maryland as part of the SpiderForest crew. Delphina from Sombulus made this great graphic where you can find us all. Thanks, Delphina! Wow, he took that hook, sinker, line, and pole! I figure if I can’t contribute my gracious presence at SPX, web graphics are the least I can do! Hope you guys have a great time!